Location: The hall is located in the city of Amaliada (also Amalias), in the region of Peloponnese, 295 km west of Athens. If you drive to Amaliada through the Patras-Pyrgos National Road, do not use the exit to "Savalia, Amaliada", but continue for 6 more km until you reach "Kourouta" junction, where you must turn left towards Amaliada. After 3 km you will be entering the city and just as you cross the rails you must turn right into Papandreou Street. In 200m you must turn left into Evangelistrias Street, 800m after that turn left again into Oinomaou Street and after another 800m turn right into Ghipedou Street. You will reach the main entrance of Amaliada Sports Complex after another 200m. More data: Amaliada Indoor Hall was constructed in the late 1980s, together with two more identical halls in the cities of Megalopoli and Atalanti. Initially it only had one stand at its north side. 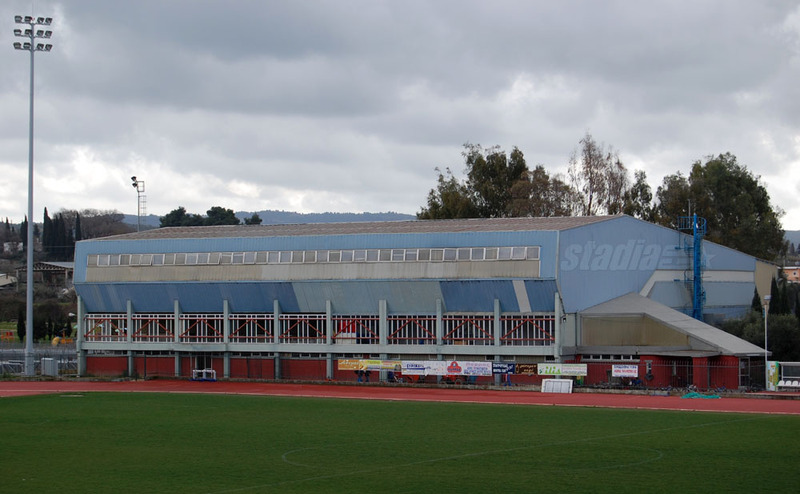 The hall was enlarged 15 years later, through the expansion of its south side, however visibility from this new stand is very poor, due to the fact that the pillars supporting the roof could not be removed. As a result, the south stand is rarely used, except for its lower section next to the basketball court, where fans enjoy an unobstructed view of the action. 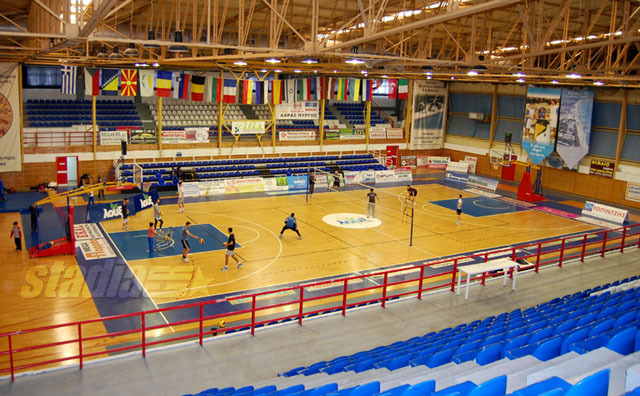 Despite being a small hall in a rural town, it has hosted important events: Group games of the 2003 European Championship for Women, the final round of the 2004 European Championship for Men Under-16, the final round of the 2006 European Championship for Men Under-18 and final round games of the 2008 European Championship for Men Under-18. 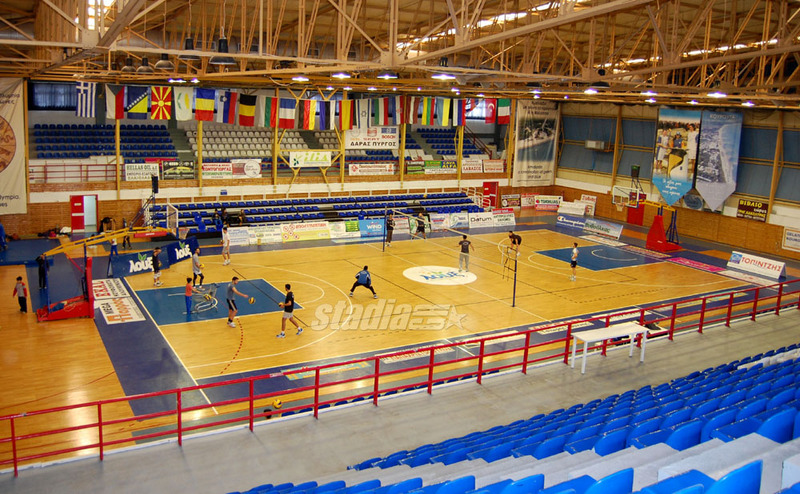 It was also the venue for the 2006 Greek Volleyball Cup Final-eight and the 2008 Greek Basketball All-Star Game. 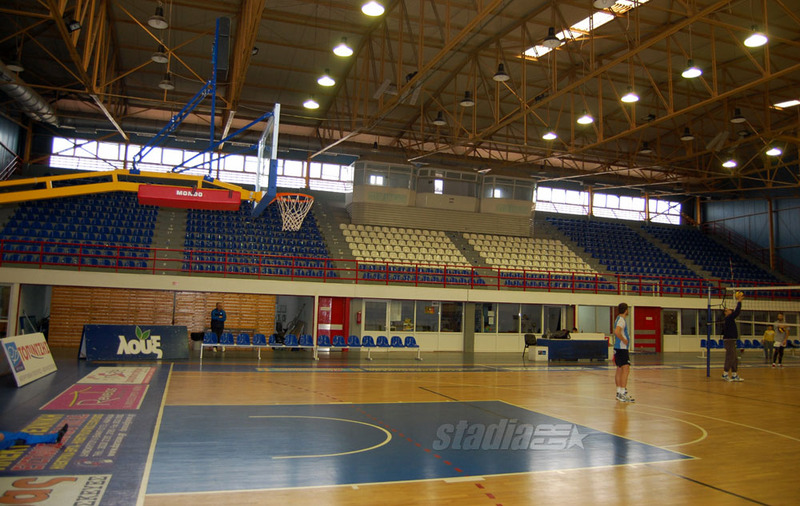 Amaliada Indoor Hall is part of the city's sports complex, which also includes Amaliada Stadium, a swimming pool, one more smaller indoor hall and two football training fields. 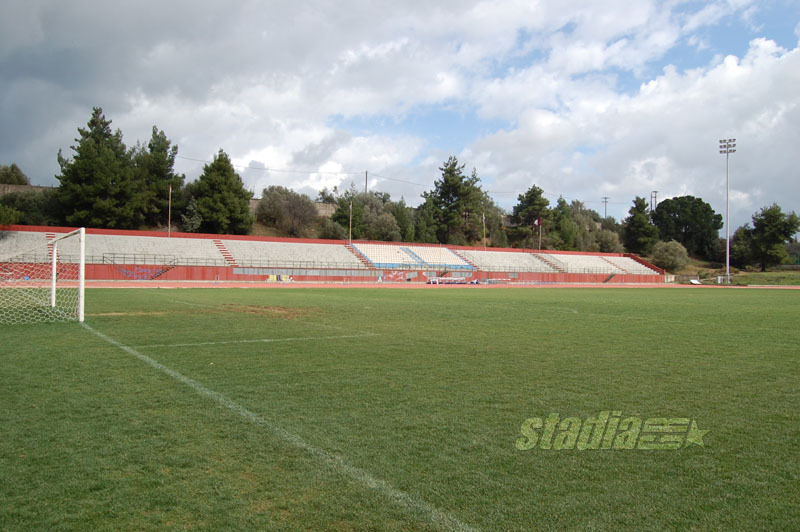 It is owned by the Municipality of Ilida, the seat of which is Amaliada.